But there are concerns a proposed bill could turn whistleblowers into criminals. But there are concerns a proposed bill could turn whistleblowers into criminals. 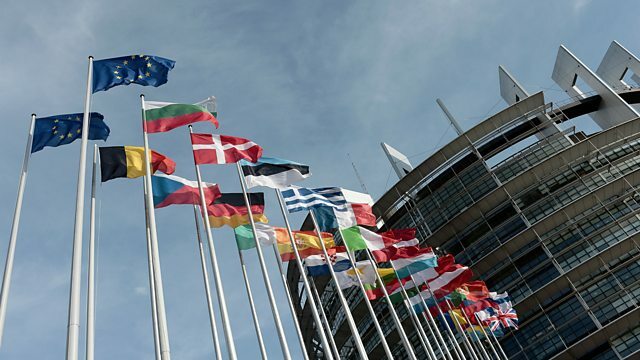 We discuss the issues with Martin Pigeon who is campaigning against the Trade Secrets Protection Directive for Corporate Europe Observatory, and a supporter, MEP Constance Le Grip. Also in the programme, the world's biggest coal miner, Peabody Energy, has filed for bankruptcy protection in the United States. We find out why from John Meyer, mining analyst at SP Angel. The BBC's Audrey Tinline reports from the Innovate Finance summit in London on how technology might help plug the world's two billion "unbanked" into the international financial system. Plus with trendy new coconut products catching on in rich countries, the price of the fruit is soaring. We find out what that means for coconut buyers and sellers in the developing world from Chris White of the fruit industry trade paper, Fruit Net.